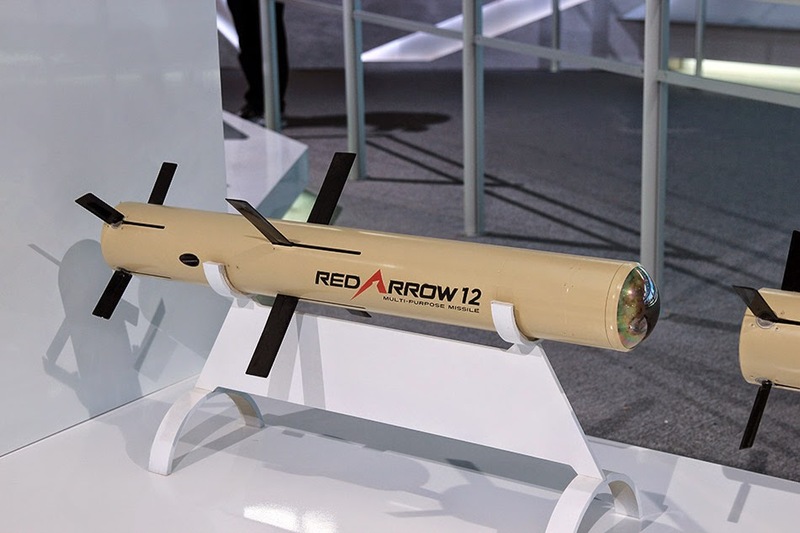 The latest addition to the Red Arrow missile family from Norinco, the multi-purpose Red Arrow 12 / HJ-12 is comparable to the American FGM-148 Javelin. The HJ-12 can be operated by a single person or mounted on vehicles. Using its fire-and-forget mode, the HJ-12 can guide itself autonomously towards the designated target. This removes a key weakness in comparison to previous generations, which relied on input from the operator through wire guidance or laser beam riding. 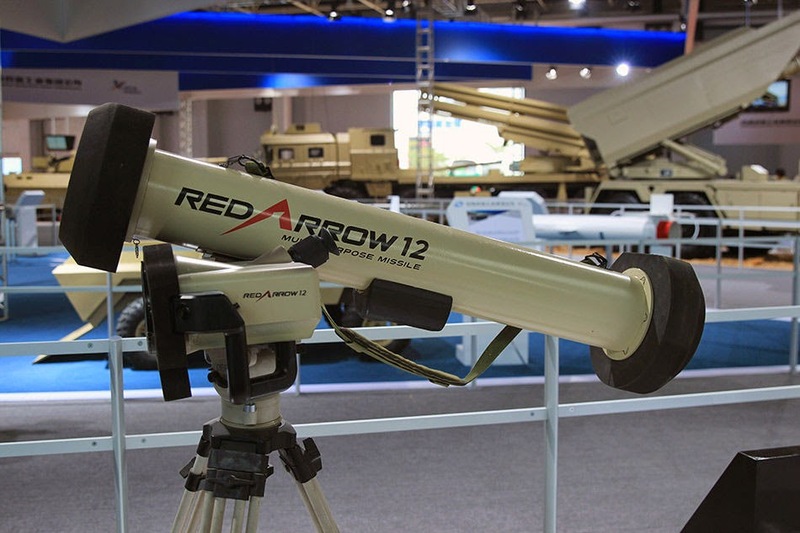 The shoulder-fired Red Arrow 12 supports two flight modes, top-attack or direct-attack. The top-attack mode is useful against armored vehicles where armor is usually weakest at the top. The direct-attack mode is preferable against regular buildings. The HJ-12 must be locked on before launch (LOBL) and uses two different seekers. 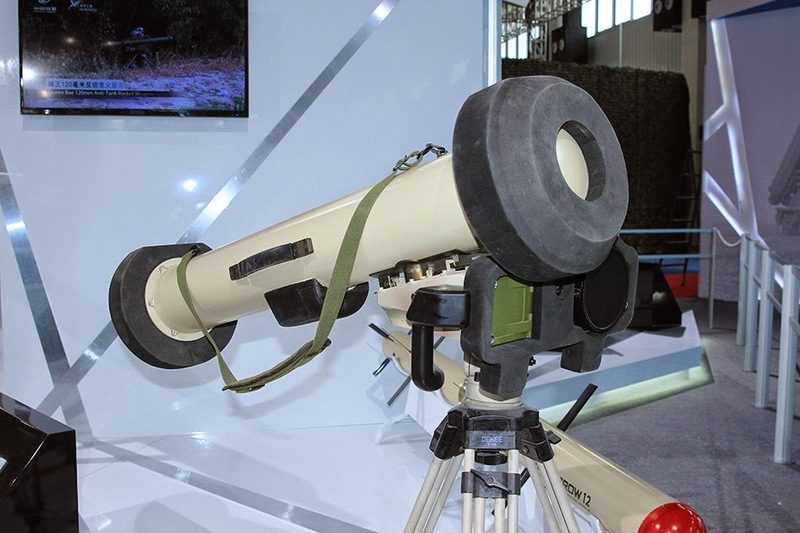 The first version relies on electro-optical / television (TV) for clear-weather / daylight conditions and the second more expensive version uses a imaging infrared (IIR) seeker to give the HJ-12 the ability to be used in all-weather, day or night conditions. The TV version has a maximum range of 4000 m, which is cut to half or 2000 m for the IIR version. An important difference compared to the Javelin is that the HJ-12 relies on an uncooled IIR seeker unlike the cooled seeker found in the Javelin. Thanks to its soft-launch / cold-launch design with minimal back-blast, the HJ-12 can be used within enclosed structures, such as bunkers. The tandem HEAT warhead can defeat up to 1100 mm (RHA) of armor and can be used against a range of targets, including armored vehicles such as tanks, reinforced buildings / fortifications, small boats and slow / low-flying aircraft such as helicopters. The HJ-12 missile tube is 1250 mm in length and 170 mm in diameter. The missile itself measures 1050 mm x 127 mm with a total wingspan of 560 mm and weighs 17 kg. The complete system, including the reusable CLU, weighs 22 kg. At the Zhuhai Airshow 2014, the HJ-12 was displayed along with the TS-01, which is very similar, but reportedly lost out against the former. The HJ-12 is only in service so far with the Chinese armed forces, but as of 2014 is available on the export market.